1. You have been asked a lot about Cal, but what about going to a politically open college like that -- was that important to you? Reece: That's a bonus. Obviously. it's great to go to school in a very open place. That's something I was also looking for. All the schools I looked at were relatively open places. Berkeley is incredibly open and that makes for a very healthy environment to lean in. I also have heard they have (laughs) great food locally, great culture, and of course it's a great academic university. 2. You and Penn Charter Coach Crystal Coleman were very careful about not adding dryland too fast since you were still growing, now that you are old and filling out, are you looking forward to adding that at Cal now that your body is more ready for it? Reece: Yes, definitely. Joel (Smith), who is the strength coach for Cal swimming, is a very, very smart guy. I've been fortunate because my high school strength coach, John (Estok) is like that and really smart about giving everybody what they need because there are so many different athletes that you get. So that has been great. Next (school) year, making that transition will be great. I've yet to have a dialogue with Joel but can't wait to get to work on that. 3. Your parents are both doctors -- how impressive is it that while they offered as much or as little help as you wanted, that they emphasized this was your decision? Reece: That's the way they have been my entire life. They have guided me and given me information and insight that I'll never be able to repay them for. I knew from the beginning that it was my decision. Like they always have, they provided some lessons and ways of thinking throughout the process, but they were removed enough to let me do my own thing. They expected me to work out the phone calls and communication, and to seek out what I really wanted in a program -- they trusted me to do that. All I did was update them now and then. So when it came time to commit, I had weighed all the pros and cons in a way that emphasized what was important to me. 11. Pretty awesome to turn it around last summer during what was an insanely exciting 2017 World Trials and make it? Reece: Summer Nationals aren't as big but the field was just incredible. What was great was seeing people like Regan Smith make the team -- what mental toughness. And to get to see her swim in Budapest, and then swim with her last summer at World Juniors, was just incredible. Again, someone stepping up in the moment. Did Cal land anyone else in the Class of 2018 besides Reece Whitley? Where did the Bear's class rank nationally? Thank you in advance! GO BEARS! We had quite a small class this go-around, but some solid prospects. SwimSwam: "This is a very small class, but they crack the top 10 because of one name: #1 in the class, Reece Whitley. The best high school breaststroker to enter the NCAA system since Andrew Seliskar (who happens to go to Cal, too), Whitley gives Cal an immediate elite breaststroke option who is already fast enough to A final in both breaststrokes at NCAAs and who can solidify their medley relays as soon as he gets to campus. For how fast he is at breaststroke, Whitley isn't someone so specialized in his stroke that he can't do anything else. He's also 1:47.1 BK, 1:48.8 FL, 1:43.9/3:47.1 IM, and 45.1/1:38.1 FR, with his IM being the most impressive. Whitley also had a fantastic summer, giving way to long course bests of 27.7/1:00.0/2:10.8 in breaststroke, earning silvers in the 100 and 200 at the 2017 World Jr Champs. With the momentum Cal has, the addition of Whitley could turn the corner for them as they seek another national title. Christopher Jhong is a great IM'er (1:47/3:50) with a 1:39.7 200 free, while Daniel O'Connell has been 20.7/45.2 FR and Kyle Millis has been 50.1/1:49.0 BK. The class is tiny, but noting how large and powerful the current Cal freshman class is, the Golden Bears didn't necessarily need another army of newcomers for next fall. Still, the lack of numbers here and sparse sprint free promise keeps the class from breaking into the top 5." 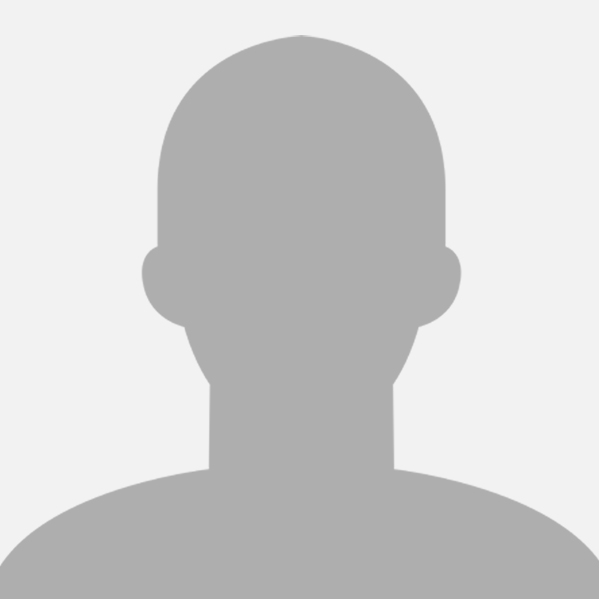 Was Daniel Roy (wash) another that visited or did he commit to Stanfart? Collegeswimming still doesn't show him committed to any college. Roy committed to Stanford, AFAIK. Chris Jhong of Amador Valley rattled Curtis Ogren's National Independent HS record in the 200 IM, winning with a 1:45.51, just six tenths off Ogren's mark. Jhong was touched out in the 100 fly, 48.31 to 47.74, by Daniel O'Connell of De La Salle. Last time around, we noted that this class of breaststrokers is probably the best since the Seliskar/Vissering class of 2015. One year later, this group is blowing even that class out of the water. We've got three guys coming in with breaststroke times that would have made the NCAA's A final a year ago, including the best breaststroke prospect we've ever ranked. In fact, we're leaving guys off our list who would be the top breaststroker in almost any of the surrounding years' classes. Outside of breaststrokers, this class is loaded with 200 free monsters. We count at least 8 guys under 1:36, at least five under 1:34 and three who are 1:33.0 or better. A lot of those guys swim up into the 500 free range as well, but quite a few of them are stroke specialists who happen to also have big-time 200 frees. Keep an eye on the NCAA 800 free relay, because that event is set to get a whole lot faster across the board in the coming years. On the flip side, there aren't really any standout flyers or backstrokers, at least not to the level of the Hoffer/Murphy/Katz/Taylor Class of 2017. We noted last spring that the class was deep with fly talent, though, and that remains the case. What was previously a pretty thin backstroke class has also developed, so those events will have some diamond-in-the-rough opportunities. Not counting the 200/500 types, this class only has two true distance swimmers ranked, but they're potential generational talents. Beyond that, there are three more just off our list who could probably make an argument for a top 20 ranking, if the NCAA had relay point opportunities for milers. **The 1000 free isn't an NCAA event at the Division I level, but is swum at Division I dual meets and at the Division II level. Whitley has a chance to be a historically-good breaststroker at the NCAA level and beyond. Even since last spring, he's cut almost a full second from an already-unbelievable 200 breast. He would have tied for 2nd in the 100 and placed 3rd in the 200 at this year's NCAA Championships. If that weren't enough, Whitley adds the best 200 IM in the class and a 400 IM that would make him a top-20 recruit in this class even if he didn't swim breaststroke. We partially justified ranking him #1 last spring on the strong possibility that his 6-foot-8 frame would make him a likely free relay factor, and that's already bearing out in results. Since last spring, Whitley has dropped his 50 free from 21.3 to 20.6, his 100 from 45.1 to 44.5 and his 200 free from 1:38.5 to 1:36.9. Kibler is a great prospect, too, and continues to rise in his own right. He's got a 200 free that would have made the A final at 2018 NCAAs, and would have had a shot to elevate almost any 800 free relay in the country. Kibler also has an NCAA scoring time in the 500 free, though he's maybe more valuable down into the 50 and 100, where he's right near the top of the class. Kibler has value on any and all of the five relays, and his big improvements have come in the back and fly in our original ranks, he was a 48.5/1:45.9 backstroker and a 48.8 flyer. Now he's 47.0/1:42.3 and 46.8, in striking distance of best-in-class in all three. Part of what drives down Kibler's value is that Sancov has caught him through the mid-range freestyles. Sancov, too, has an NCAA A final time in the 200 and a scoring time in the 500. Sancov also brings great two-distance butterfly speed and one of the better 200 IMs in the class. Sancov's wild card is that he's arguably better in long course meters (49.0/1:47.0 freestyles in particular), which could mean he's still got room to drop those short course bests even further. He's already had a great senior year, cutting five seconds in the 500, 1.2 in the 200 and seven tenths in the 100. McHugh is the next of the elite breaststrokers in the class, and he moves up from last year's ranks thanks to almost a full-second drop into A final territory in his 100 and a nearly-two-second drop in his 200. He's built a lot like Whitley minimum six-foot-four with long limbs and has actually been dropping faster over the past four years. McHugh doesn't yet have the versatility of Whitley, but a 20.2 50 free is a solid tertiary event, and makes him a potential free relay factor down the road. Freeman is a rangy freestyle prospect and another elite-tier 200/500 talent. Already in scoring range in the 200 free (and therefore 800 free relay), Freeman isn't far off in the 500, and can swim equally well up to the mile and down to the 100. He developed better in the sprints this past year with big 100/200 drops, while his mile added slightly. Huge relay value and huge individual value, even in a class loaded in his best events. You know it's a class-wide phenomenon when even the class's best flyer has a standout 200 free. Bybee moves down more than he should only because so many others exploded into NCAA scoring time range over the pat year. Bybee had a solid senior season, highlighted by a 2.5-second drop in his 200 fly. His other events were moderate improvements: four tenths in the 100 fly, a half-second in the 200 free, three hundredths in the 100 free. Potentially a five-relay guy down the road, and perhaps a relay factor even as a rookie. Still the class's best 500 freestyler, Callan is yet another potential superstar in the 200/500 from this class. His stellar 200 and solid 100 make him a multi-relay prospect, and his best events cooperate well in the NCAA Championships lineup. In long course last summer, Callan cut down to 1:47.33 in the 200 free, making him one of the best 200 freestylers of any age in the nation. Like Bybee, he moves down, not because of any drop in potential, but because his senior season drops were moderate (half-second in the 200, nine tenths in the 500) rather than explosive. Last spring, we noted the difficulty of ranking the jack-of-all-trades LeVant, who at the time projected best as a fly/back type. His senior improvements have largely come in freestyle, though, and he's now joined the glut of talented 200/500 types at the top of the recruiting pool. Intriguingly, he's the third-best 400 IMer in the class, though that doesn't match well with his 200 free in the NCAA event schedule. LeVant is going to be an excellent college swimmer, we just don't know yet in what events. A bit of a forgotten man behind Whitley, Roy ranks 10th in the class despite holding a 200 breast time that would have finished 3rd at NCAAs this year. Roy is improving extremely fast. When we ranked him last year, he was 1:54.4 in the 200 and 54.1 in the 100. He's also cut about a second in both IMs and now has a very respectable three-event NCAA lineup. Just recently, Roy made a huge long course surge, going 2:09.7 in the 200 meter breast to challenge some of the best collegiate and professional swimmers in the nation. Discounting Whitley (who probably won't swim both IMs much), Smith is the class's best IMer by a wide margin. The IMs have gotten so absurdly fast at the NCAA level (did you know it took 1:42.9/3:41.7 to score last year?) that no high school prospect looks like an instant-impact guy, but college-level training seems to have huge impacts on IM capability, too. Smith supplements with a 200 back that is one of the best-in-class, and he's got a ton of endurance, as evidenced by his awesome 200 through mile. Also a very good long course swimmer and a steady improver since last spring. The first of our stellar milers, Finke's time would have placed him 5th at NCAAs last year. He's got an elite 1000 and a good 500 with eventual scoring potential. And in the right program, he could also contend for an 800 free relay spot down the road. The bonus is his 3.6-second improvement in the 400 IM, which may make the best tertiary event for him over the 200 free. He's also outstanding in long course, where he's a Junior Pan Pacs champ and a senior World Championships team member. Brinegar actually has a better mile than Finke one that would have placed 4th at NCAAs. But he's not quite as good down through the 500 and doesn't have the IM/stroke versatility of Finke. On the other hand, Brinegar has momentum. He dropped more than 18 seconds in his mile since our first ranks, and 9 from his 1000. On the other hand, his 500 didn't drop much. Brinegar is also improving rapidly in long course. Willenbring made a massive improvement to his 200 IM (dropping from 1:47.00) since our first ranks, and his 50 and 100 free have also improved, despite not being able to compete for four months this winter as he served a suspension for a failed doping test at Junior Worlds. (FINA's doping panel eventually said Willenbring's failed test was an accident on his part and not an intentional use of banned substances). Henry is the top backstroker in the class, and among the top sprint flyers, too. He dropped a few tenths in his 100 back since our original ranks, but also cut 1.3 in the 100 fly to surge toward the top of the class. His 200 back went backwards, a bit, but he also developed from a 1:37.9 to a 1:34.9 in the 200 free because it's apparently a rule for everyone in this class to be good at 200 free. Henry is a ways out of scoring range yet, but a double-46 swimmer out of high school is still a high-level talent. Park has made massive strides since our last rankings, putting himself into contention with Henry for the best fly/back specialist in the field. Park is just a tick slower in the 100s of both, but quite a bit faster in the 200 back, plus brings solid 50/100 free potential to the table. Since our first ranks, Park has cut 2.6 seconds in his 200 back and 2.3 seconds in his 100 fly. The 200 back is especially exciting. He only trails three others in his class in that event, one of them being Kibler who may not swim the event regularly. Kovac is a late addition to our top 20 after a monster Colorado high school state meet just a couple weeks ago. Kovac who was 48.1 in fly and 1:48.8 in IM and didn't make our list last spring cut down to 46.6 and 1:46.2 at Colorado's state meet, and split 43.0 on the end of a 400 free relay. 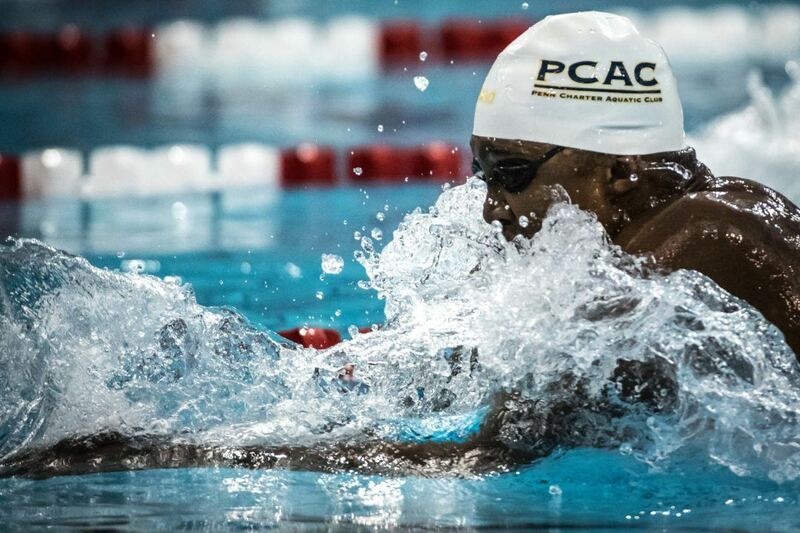 That leaves him knocking on the door of the class's best 100 fly with at least three-relay (200 medley, 400 medley, 400 free) potential coming in the door. Yet another 46-second butterfly late in our list. Fonder has really come on during his senior year, slicing about a second and a half in both of his backstrokes and seven tenths in his 100 fly. His sprint free times give him some added relay value, including a 200 free that has dropped almost two seconds since last spring. Both rankings, it's been so tough to find a spot for Abruzzo in the top 20, and tougher to find a spot that feels accurate to his career thus far. At this point, he just doesn't have the short course production but that's by design. He's focused on (and had far more success in) long course, and that's made him a much bigger name than a lot of others who are more highly-ranked. 3:49/7:54/15:06 are especially eye-popping times in meters, and all three won World Junior titles last summer. Ultimately, he gets shorted on value without a great relay swim, but Abruzzo could put up a lot of points in a lot of different events if his short course catches up to his long course in the near future. He's chosen the right school, Georgia, for the races he's good at and that makes him a potential future Olympian, even from deep in the top 20. It's hard to pass up a 19-second sprinter, especially when his 43.0 in the 100 is one of the best in the entire class. Over his senior year, Gonzalez has improved his 200 a lot (1.5 seconds), his 100 a little (0.6 seconds) and event though he didn't break his 50 time, he did match it with a second 19.99. He's come up with some big-time relay splits in that time, too, including a 19.3 on the end of a national high school record-setting relay. Paring the list down to 20 always feels like pulling teeth. This isn't an exhaustive list of others we considered, but the top few left off the list who made the decisions on 18-20 very difficult. Best Times: 100 back 47.12, 100 fly 47.31, 200 IM 1:47.59, 50 free 20.16, 200 free 44.36Casas has made marginal improvements in his butterfly from last year, but it's his backstroke (48.4 to 47.1) that now puts him on the map. His 200 IM is intriguing, too, but he hasn't swum it in short course yards since early 2017 based on USA Swimming's database. Casas has appeared to focus more on long course over the past year or so, and did lower his 100 meter back time to 55.6 earlier this year. Best Times: 200 fly 1:43.69, 100 fly 47.68, 500 free 4:19.14Koustik continues to rule the 200 fly within this class, and compared to last fall, his 100 has come around significantly. He, too, gets shorted on relay value, and he also doesn't have a lot on paper in other events. That 500 free is a nice time, but very developmental at the NCAA level. He's another long course warrior who's been a bruising 1:58.1 in the 200 meter fly. Best Times: 200 fly 1:43.96, 100 fly 47.66, 200 IM 1:48.47, 400 IM 3:52.55We usually don't include this many honorable mentions, but in this case, we do only because so many of them are so similar in production. Compare Brown to Koustik in the butterflys, and the two are almost identical in time. Brown has made massive leaps since last year, when he wasn't even in discussion for a top 20 rank. He was 48.2/1:46.1 at the time. Currently a very fast riser in long course, too, after going 54.3/1:59.0 last summer in butterfly. Best Times: 200 back 1:42.54, 100 back 47.52, 200 free 1:35.39, 100 free 44.92Dahlgren has one big standout event his 200 back that is pushing for the top time in the class. His 100 back is solid, as are his mid-sprint freestyle times. He's another fast riser a year ago, he was 48.2/1:45.8 in the backstrokes and 1:38 in the 200 free. Keep an eye on the 500 as a day 1 NCAA event. Dahlgren dropped about ten seconds in that event over the last year and sits at 4:22 with room to improve. Best Times: 50 free 19.79, 100 free 43.98, 100 fly 47.65Only three eye-catching events, but when it's those three, specifically, they can amount to three individuals and four relays. Davis is one of the better pure sprinters in the class, and made marginal improvements across the board in all three of his top events since last ranking. Best Times: 50 free 19.74, 100 free 43.44, 200 free 1:37.58Franzman is very comparable to Davis slightly better in the sprint freestyles, but without the butterfly. His 200 free has potential to make up for it, though, especially after dropping from 1:41.7 as of our original rankings to 1:37.5. Rough transcript of Reece's response to the SW interviewer's questions on college based upon a quick listen to the video clip posted below...methinks we have a really good fit in our incoming Baby Bear! Go Bears! "I had a pretty narrowed down list from my Junior year when recruiting started for me. Really down to 3 schools. I knew I wanted to be in nice weather. I've gone to school at Penn Charter, I was there from kindergarten through 12th grade, so I think the biggest thing for me was change. The schools that I was looking at, I knew academics wouldn't be an issue in terms of where I was going to get the best education, because that's first. With that out of the way - where are you going to find the best training site...where you're going to feel the most comfortable, just in terms of campus culture...and where you're going to be the most comfortable, who you're going to be the most comfortable swimming for...and luckily I found all three circumstances at Cal. You see it here (2018 US Nationals) - Cal is running this meet, on the guys' side. I'm just excited to try and be a part of that over the years to come...they are not going to stop. We've got the pros - Nathan, Josh, Ryan, Pebs, Tom...we've got young guys stepping up - like Daniel Carr, Bryce Mefford, Hoff, Sean Grieshop...like, all the guys. We've got a small but mighty class coming in, so I'm excited!" "Hopefully Business Administration...you know everything is great at Cal...so wherever my interests kinda lie when it comes time to really hone in and choose a major, I'll go with that." 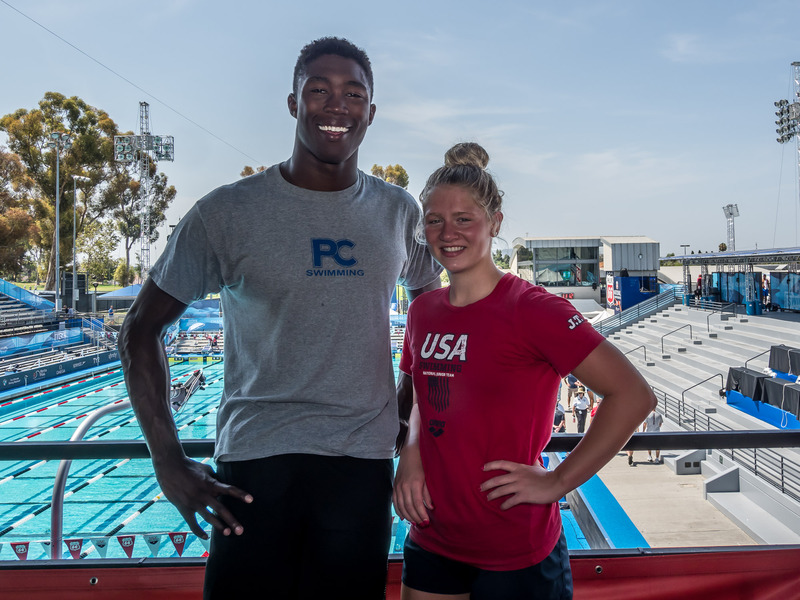 Swimming World Magazine's Andy Ross caught up with our 2018 high school swimmers of the year Reece Whitley and Emily Weiss at the Phillips 66 Nationals. Whitley and Weiss broke the national high school record in the 100 breast in times that would have been top eight at the 2018 NCAA's.